"Poplin, poplin, poplin, how I adore thee. Treated to our non-iron finish, you stay utterly crease-free. Your cloth is soft and silky smooth, with two-ply durability. And here in six sharp colours, I'll buy one, two or three." 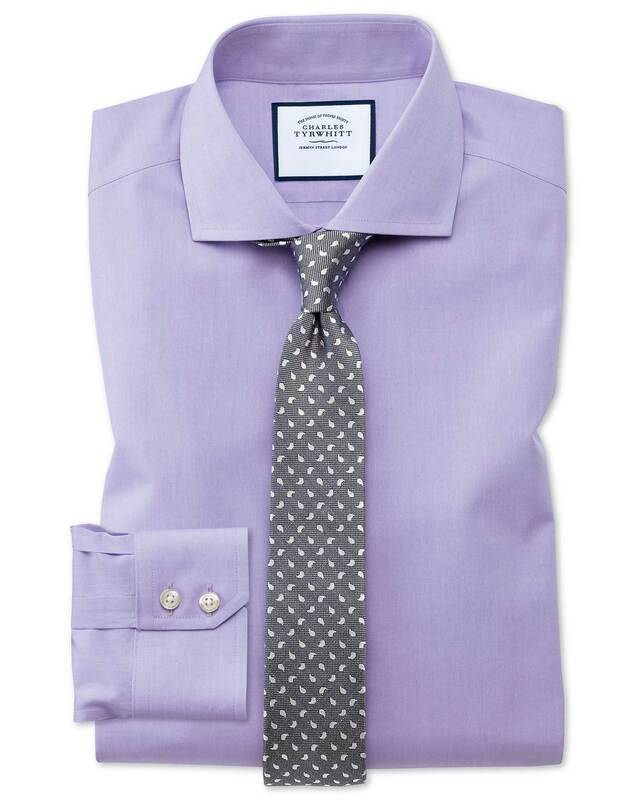 Response from Charles Tyrwhitt: If you place your order via phone, we do offer a tail shortening service for a small fee for our Formal shirts, which may be worth considering for your next purchase. We appreciate you taking the time to provide us with your feedback, so that we can take your comments on board to assess how to improve for the future.